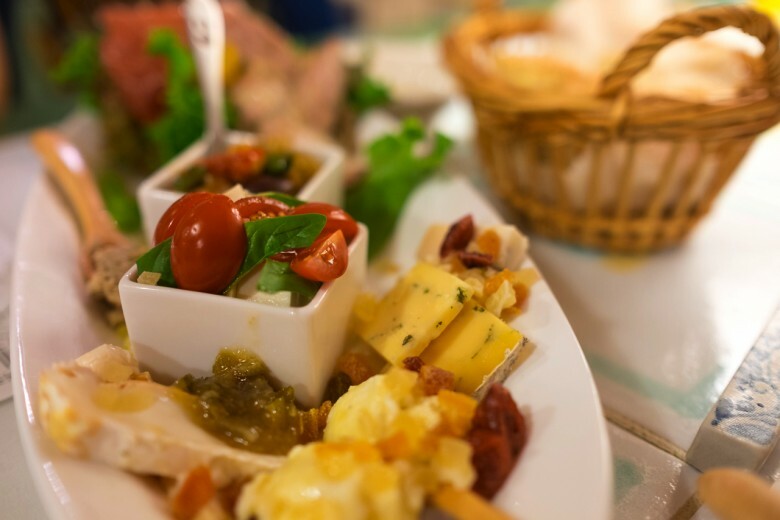 Ever since I had my first taste of his cheese in Tedako-Tei, the cozy Italian restaurant in Naha, I’ve always wanted to try more. His name is John, the cheese guy. 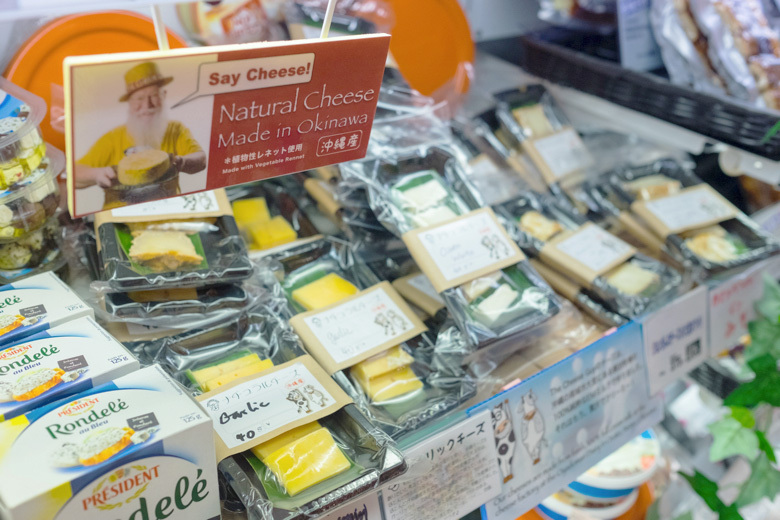 While we knew so little about his cheese where-abouts, we heard that his cheese is available at Ryubo in Omoromachi, Naha. 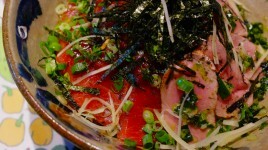 We’ve been looking for a chance to go to Naha, and we finally did. 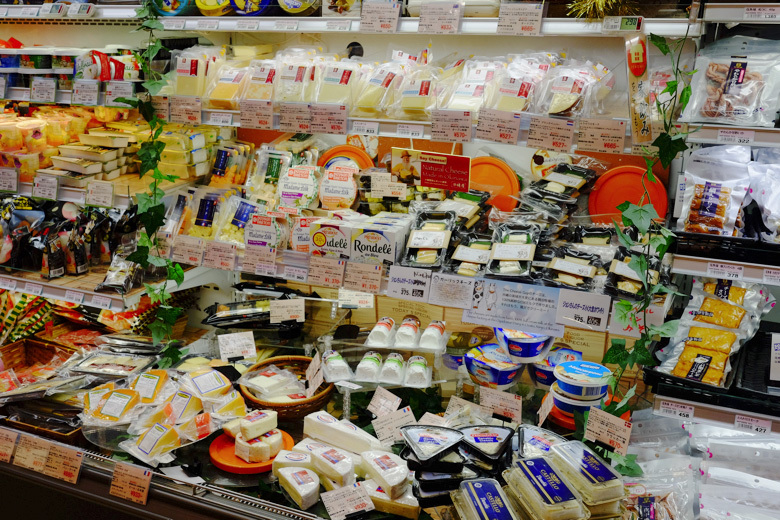 We found that Ryubo had a descent volume of imported natural cheeses. For a Okinawan grocery store, that is. We love cheese. 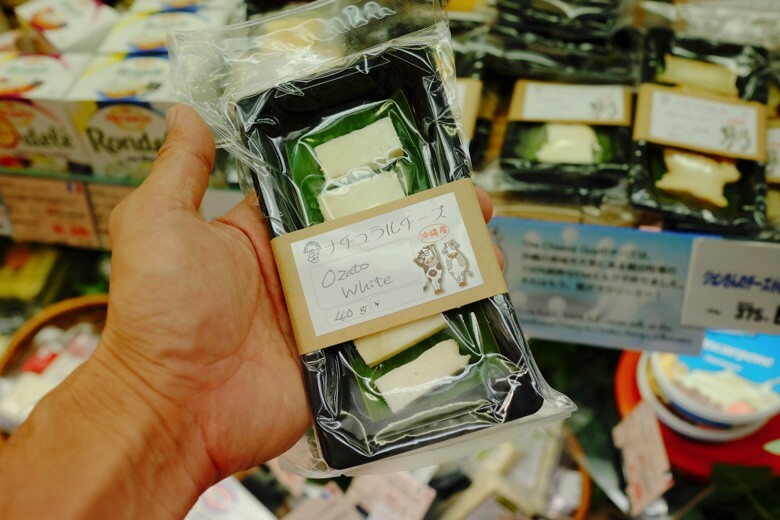 It’s a true bummer we have such limited access to good cheeses in Japan, in Okinawa especially. 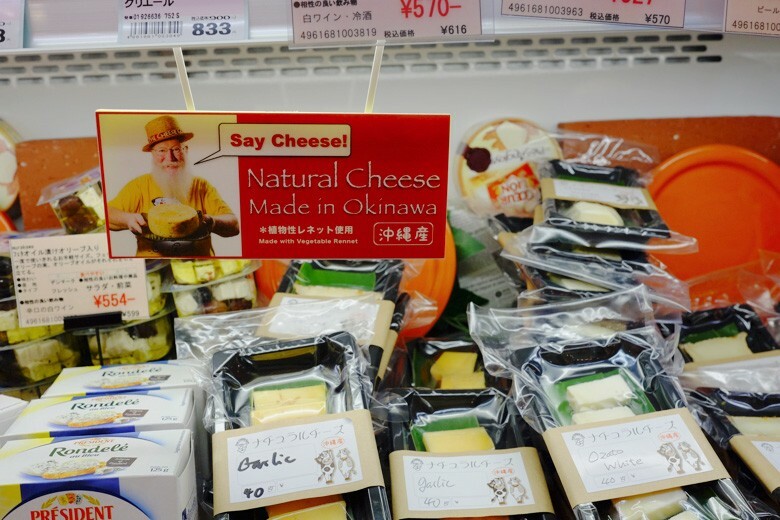 It is why his Okinawan cheese has been our hope. Fresh, live, local cheese! 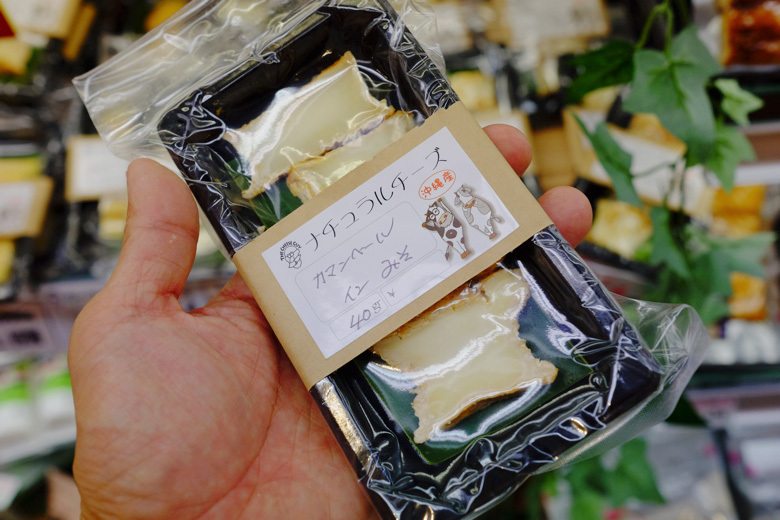 First one I picked up was Camembert in Miso. I loved this one. 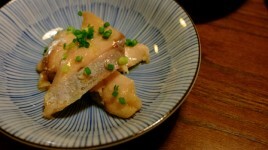 Melting at room temperature, it had such a pleasant saltiness and richness, incorporating with miso. Ozato White. I assume this is his signature cheese as it has the name of his location. This one is very mild, tasting like yogurt, yet, the creamy texture has depth of rich milky taste. I felt somewhat fruit-like scent too. 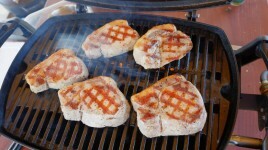 It should be great to serve it with dried fruits and nuts. I don’t know how he manages to age cheese without ruining it for mold in such a humid island. It should be so hard. I mean, sun-dried fish, which has been so popular for hundreds of years in anywhere in Japan, has never taken root on this island because of humidity. Anyway, we are so happy to discover his cheese. We want to try more! I heard he is now preparing to open his new store in Haebaru. We hope to take a little distance to the South to get rounds of his cheese in the near future. Thumbs up to the cheese guy!